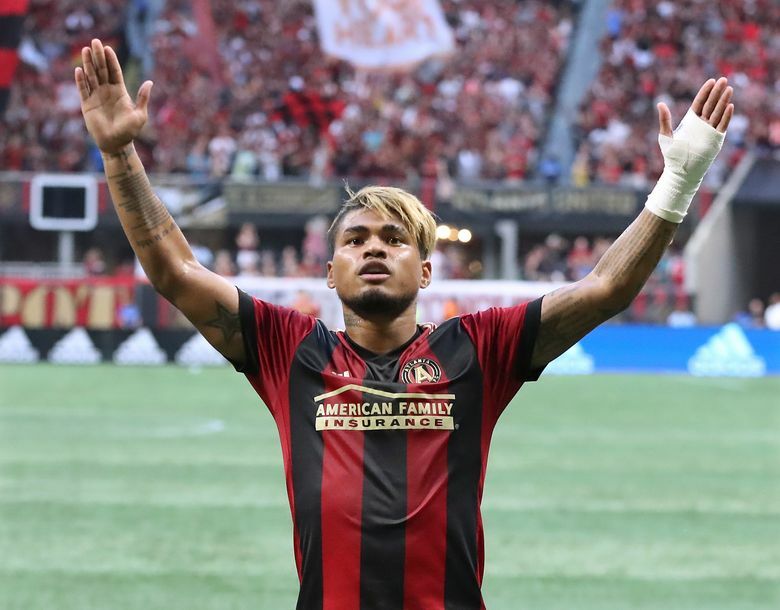 MARIETTA, Ga. (AP) — Josef Martinez knew he was receiving one of Major League Soccer’s top awards. 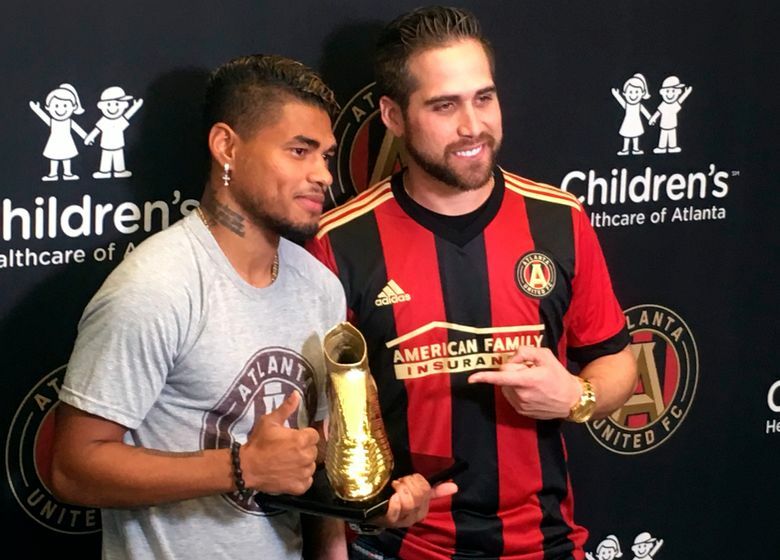 After the greatest goal-scoring season in MLS history, the Venezuelan striker got a surprise when countryman and Atlanta Braves outfielder Ender Inciarte showed up Thursday at United’s training facility to hand out the Golden Boot. Inciarte said Martinez’s 31-goal season , which shattered the league’s previous scoring record, provided a much-needed bit of good news to their troubled homeland. 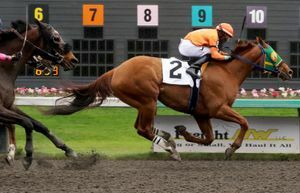 Martinez broke the previous MLS record of 27 goals, which was shared by Roy Lassiter, Chris Wondolowski and Bradley Wright-Phillips, leading United to a second-place finish in the Eastern Conference and its second straight playoff appearance. 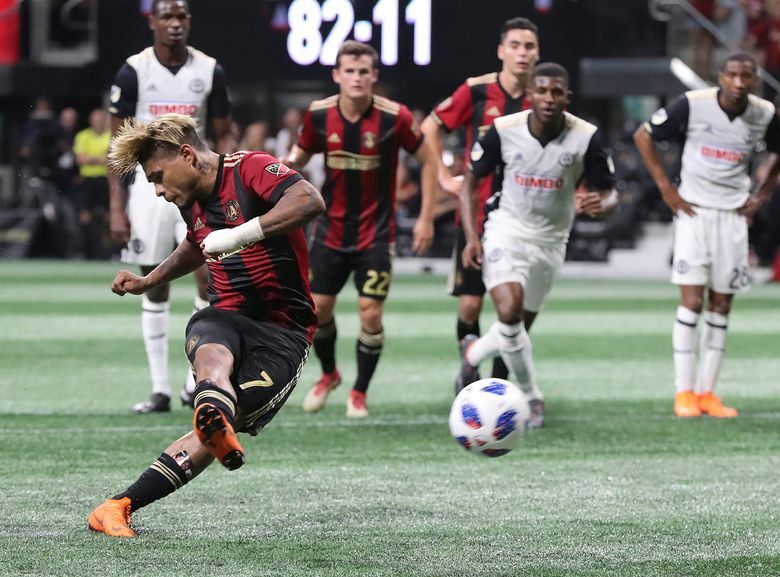 Atlanta will begin a two-legged conference semifinal series against New York City FC on Sunday at Yankee Stadium. The 25-year-old Martinez was clearly pleased with his first Golden Boot, but he’s more focused on bringing another trophy to Atlanta. Martinez formerly played with Torino in Italy’s Serie A, but he struggled as a winger and scored just seven goals in 58 league games. Acquired by Atlanta for its inaugural 2017 season, he moved to a more natural position in front of the net and responded with 19 goals in 20 games. 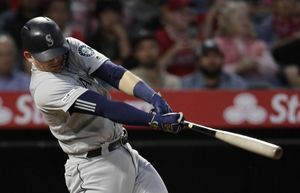 If not for missing more than two months with a quadriceps injury sustained in an international match with Venezuela, he might’ve broken the scoring record a year ago. This season, Martinez improved his skills away from the ball and showed an ability to score with either foot and especially his head, even though he’s generously listed at just 5-foot-7. He said his most memorable goal was No. 28, the record breaker against Orlando. Julian Gressel delivered a pass to Martinez, who quickly flicked the ball ahead and gave a shoulder-dipping deke that sent a defender flying past him and put keeper Joe Bendik on his backside. Martinez turned the ball back inside off his left foot and calmly flicked it over Bendik with his right to clinch a 2-1 victory. Martinez, who is also a finalist for the league’s MVP award, endured a four-game scoring drought late in the season, finally breaking through with a penalty kick in the finale at Toronto. It was the only highlight in a 4-1 loss that cost United its first major trophy. New York Red Bulls won their final game and edged out Atlanta by two points for the Supporters’ Shield that goes to the team with top regular-season record. Coach Tata Martino, who was instrumental in putting Martinez in an attacking system where he could flourish, has announced he will leave United at the end of the playoffs , reportedly to take over as Mexico’s national team coach. Martino’s impending departure has led to speculation that Martinez may be looking to get out as well, perhaps for another shot in Europe.